**$2999 within 30 days of the course. Location subject to change. The medical profession has been learning the intricacies of Botox and dermal fillers from Dr. Howard Katz for nearly 30 years. Among his many achievements is his significant role in developing the way Botox is used dento-facially and consequently for having his name on Botox patent applications. He has collaborated with some of the biggest pharmaceutical companies in the aesthetics world, including Allergan, Medicis and Prollenium. He has been a featured speaker at NSU, NYU, for the AGD and many other prestigious institutions, including at events and schools in the USA, Israel, Saudi Arabia, across Europe and in South Africa (more about Dr. Katz). The best Dermal Fillers, PRP, and Botox training Los Angeles has available, are part of this one day, intensive, three-part course (10 CE credits), which now also includes the ground breaking DentoX LIFT, and exciting new technique to enhance cheekbones, smooth the under-eye area, and define a strong, youthful jawline. Practice hands-on with live patients, and earn up to 18 CE credits! The Botox training Los Angeles medical and dental professionals will learn from Dr. Katz at Dentox courses includes important therapeutic uses of Botox such as limiting unnecessary pericranial muscle spasms, decreasing clenching associated with migraines, depression and TMD and more. Relaxing masticatory muscles implicated in the compression of pericranial sensory nerves and blood vessels is also taught. Fully appreciate how botulinum toxin can be used for conditions including TMD, facial pain, migraine, parafunctional clenching and more. When you choose the Botox training Los Angeles doctors, dentists and other medical professionals can trust, you hone your skill set under the supervision of the best in the Botox training business. 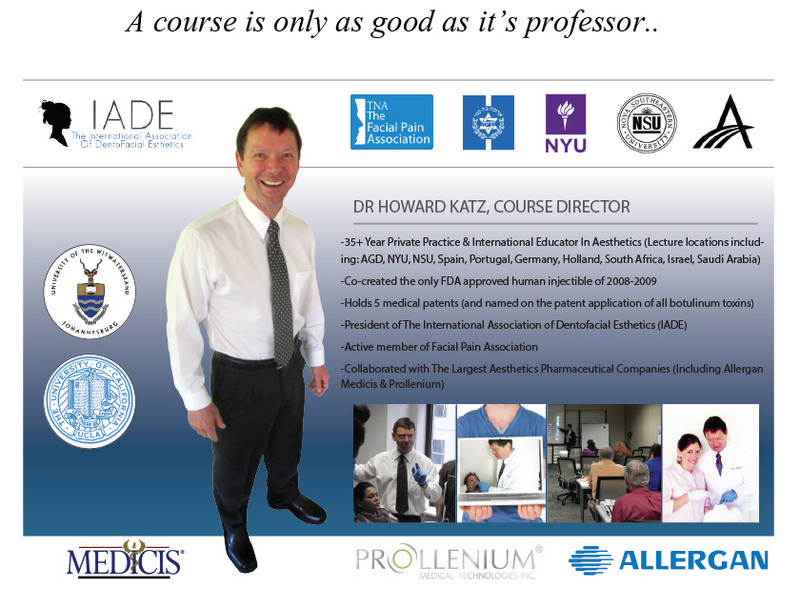 Dr. Howad Katz, DDS is the primary trainer for your course and will guide you at every step of the way. Given his deep knowledge and long history in Botox training Los Angeles and the world can trust, there may be no more experienced injectibles trainer. Materials cost: Materials for hands-on practice are included, however to use Botox or Fillers (in place of saline) during the course, students may bring their own product, or request that we purchase Botox or Fillers materials on their behalf (Botox at $650 for 100 units; fillers starting at $350 per syringe). Dermal fillers training for Los Angeles medical professionals will teach you to use injectible fillers including all the Restylane and Juvaderm products for numerous superficial cosmetic procedures. The use of Voluma and PRP for improving the skeletal profile of cheeks and chins is also covered. Learn how to provide a faster less aggressive non-surgical alternative for many of your patients Also learn hands-on how to match lips to the smile, chin and overall aesthetics of each patient. Dentox was the first company to introduce hands-on training in Los Angeles 20 years ago. The esthetic industry has evolved substantially over the past decades. Dentox still leads the way. If you want to learn what’s new in all the Botulinum toxin and dermal filler treatments then this is the course for you. You will be taught hundreds of clinical pearls in the use of all botulinum toxins, including Dysport, Xeomin, Myoblock and Botox as well as fillers including all the Restylanes, Juvederms and PRP. Come learn on real patients how to diagnose and treat with a variety of injectable products. As a participant, you will learn to get rid of smoker’s lines, Marionette lines, nasolabial folds and more. You will be supplied with all necessary materials, including anesthetics and 5 cc disposable syringes. You may bring your own materials if you show a manufacturer invoice. As part of this dermal fillers training Los Angeles medical professionals can trust, you will also learn how to select patients who can most benefit from fillers, including those who don’t need facelifts. The ideal patient, you will learn, are those who require minimal treatment for good results. That means patients least needing treatment will become your best patients. Note: Due to regulations in California, Dental students will be able to observe but not inject live patients in this portion of the program (http://www.cda.org/news-events/use-of-botox-in-dentistry-is-a-fine-line). The majority of these techniques, however, can be performed by dentists using Platelet Rich Plasma (see PRP section below). All participants will have ample opportunity to diagnose and treatment plan a live patient including all the injection sites, ideal materials, needle entry points, needle depths and sizes of the boli. California dentists and other out of state participants will have the opportunity to demonstrate every part of the procedures on a mannikin and faces of live patients except piercing the skin and pushing the plunger. Demonstrators will evaluate their techniques and advice corrections when necessary. With PRP training in Los Angeles from Dr. Katz, you can be among the first dentists, oral surgeons and other medical professionals in your service area to offer platelet rich plasma treatment, derived from a patient’s own blood. This emerging treatment provides you the opportunity to enhance a patient’s own natural healing processes using a concentrate made from their blood and injected at a specific site for aesthetic and therapeutic purposes. Come learn how to improve clinical outcomes for your patients. You will learn how to draw blood from a patient just before surgery or cosmetic treatment, condense it using a special procedure and then inject it into the site being treated. The ability to fill the lips, chin, cheeks and other areas without using traditional dermal fillers. Results are more natural, less likely to result in side effects and can save $300 or more per treatment site over dermal fillers, adding up to thousands in savings for your patient. Improved, accelerated healing for dental implants and other procedures that require tissue or bone grafting. You can improve your earnings on each patient while offering them more rapid healing and the potential for infection prevention. A less painful, less expensive option to harvesting connective tissue for periodontal procedures of all types, leading to increased profit margin and a better outcome for the patient. This also means fewer periodontal procedures will need to be referred out. Platelet rich plasma or PRP treatment training will instruct you how to take advantage of a by-product of blood plasma that is enhanced to be rich in platelets. In the past, such treatment was only available in a hospital setting because of the high cost of separating out platelets and the large amount of blood necessary for generating a suitable quantity of platelets for therapy. Now, costs, difficulty of processing and the amount of blood necessary have been reduced by better technology. PRP procedures are more profitable and better satisfy patients. The PRP allows your patients’ own bodies to heal better. During normal healing, the body rushes platelets to the site of an injury for blood clotting, growing factor release to promote stem cell stimulation and other healing activities. When you inject PRP into a surgical site or a site where a positive cosmetic or therapeutic outcome is desired, you speed healing by putting platelets where they need to be. easy because there’s nothing to do other than extract, condense and inject. Other medical practitioners in your area will eventually come on board with PRP, but you have the opportunity to offer it now. 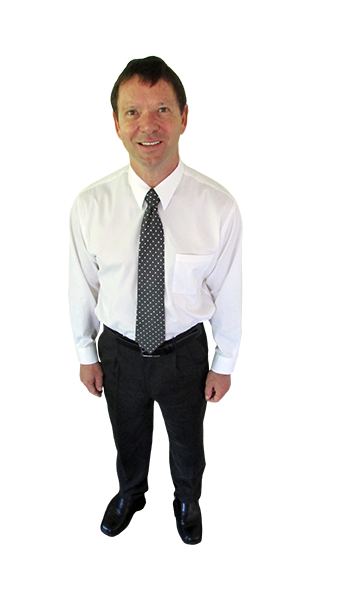 By completing the platelet rich plasma (PRP) Los Angeles training course from Dr. Katz, you’ll understand everything you need to know to use PRP effectively. And you’ll be learning from an instructor with the longest possible history of successful injectable usage and training. Many esthetic treatments require a combination of Botulinum toxins and fillers. Not all patients are compatible with bacterial hyaluronic acid fillers like Restylane and Juvederm. These patients tolerate their PRP as an alternative injectable filler. Dentox courses include phlebotomy demonstrations as well as extraction of PRP from blood. Learn how to save thousands of dollars by learning how to extract PRP, inject Botox and fillers – all covered in one extended program on the same day. Typical filler treatments that require 2-4 syringes cost you $300-$400 per syringe. Average fees are typically 1 ½ times your cost of Juvederm or Restylane. This means that your material costs are higher than your fees. PRP does not cost you anything besides the one time cost of a centrifuge (a one-time expense of few hundred dollars + disposables. This is what you are currently paying for 3 syringes of Juvederm) When you use your patients PRP your fees are higher for each treatment AND you are not paying for materials. This can raise your profits by 500% or more while reducing your material costs by 90%. Dentox has joined with DrPRP USA for this hands-on program. We selected this technology because it is the easiest, quickest, most forgiving and versatile PRP system available. DrPRP USA is lead by Patti Dixon and George Brest. Patti will provide you with everything you should know how to profitably introduce PRP dependent treatments in your practice. George will demonstrate and instruct live phlebotomies at the Dentox program to extract blood for harvesting PRP. He is an acclaimed cardiovascular perfusionist as well as a highly respected phlebotomist that has provided innovative techniques to the medical industry. 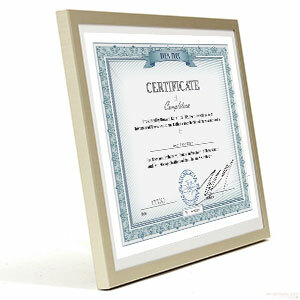 He has decades of experience providing extensive training and continuing education. Both George and Patti have been successful business people in the medical industry. They will tell you what works best and what does not. Your live training with Dr. Katz includes complete instruction on the DentoX LIFT, a combination of innovative minimally invasive intra-oral procedures that allows you to provide youthful facial contouring for your clients to enhance their smile, jawline, lips and cheekbones. These innovative procedures provide immediate results without downtime or discomfort. Only local anesthetic is necessary, and results can last 1 to 2 years or more. This newest treatment innovation by Dr. Katz based on his decades of experience with injectables and correcting dentofacial collapse, the DentoX LIFT focuses around restoring the lost youthful dento-facial shape caused by aging. The combination of adding contour to the jawline, lips and cheekbones using injectable HA fillers, increasing the vertical face height by making teeth bigger and whiter with slip-on veneers, then dissolving under-the-chin fat allows you to dramatically reduce visible signs of aging so you create the facial esthetics your patients want without a dental drill or surgical facelift or liposuction, without having general anesthesia, without the expense, side effects or downtime. As the years pass, the skeletal framework holding up the face – the jawbones and teeth – shrink and may be worn down. This face no longer has adequate support so it appears deflated as it folds on itself. Soft tissue that was once tightened over larger face bones becomes oversized, loose and wrinkled like a deflated helium balloon. Facial fat pads shrink and fat may accumulate under the chin. After years of research, Dr. Katz devised the DentoX LIFT, a new minimally invasive technique to restore the lost structural dimension. The DentoX LIFT uses structural volumizing to restore youthful facial dimension and beautify the natural features in patients of all ages. Accentuating the cheekbones, supporting lips, reviving the smile and defining the jawline will result in a better appearance. During your training, you’ll learn exactly how to perform the DentoX LIFT procedure using a combination of proprietary devices to simplify the assessment, injection and impression procedures to instantly prop up deflated skin and muscles, and to lift chins to best enhance each person’s beauty. Normal activities assumed right away. With your new understanding of the DentoX LIFT procedure, you can improve profitability with another highly desirable procedure added to your menu of treatments – a win-win situation. In compliance with California regulations, dental students will be taught an alternative, non-surgical, intra-oral technique for facial profile correction in malocclusions. This new subgingival procedure allows dentists to correct facial deficiencies and enhance facial esthetics associated with malocclusions. These are not dermal filler injections given through the skin outside the mouth, or surgical procedures to alter the facial bones and cartilage. Note: Necessary supplies are included in the course fee. Proof of license and malpractice insurance is required at registration to buy additional materials. Course content and duration may be changed to comply with state and local laws. ⇒ Courses include free access to the online Botox and Dermal Fillers refresher programs (8 additional credit hours – a $1398 value).. for a total of 18 total CE credits! 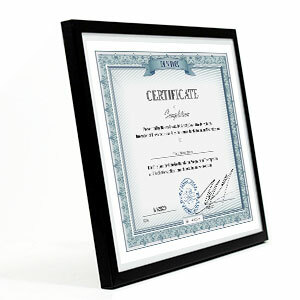 The video content is provided in advance of the live course. ⇒ Bring A Staff Member Free. When you bring a staff member as your demo patient, the staff member can attend for free. This patient will only receive treatment if there is a condition that requires it. If no treatment is required, demonstration of potential injection sites is still possible. ⇒ Patient Forms. Patient history, consent forms, and post op instruction templates are provided to help get your aesthetic treatment services started right away. Your Satisfaction Guaranteed If you sign up to your Dentox course and are not completely satisfied with the program, let us know before 4 hours have transpired, and you will receive a full refund (no certification on refunded courses). In addition, if you register for a Dentox course, and find the same course at a cheaper price in the USA within 30 days, we will happily refund you the difference.